A lot of good people have been hurt this year trying to save the City of Cornwall’s public art gallery. From years of historic corruption, poor governance, and a lack of support in a community that is very very weak artistically the final insults to decency were delivered this week. It’s entrenched why this community can’t shake it’s horrible reputation, and the inability for much to grow locally with entities like Money Sense magazine consistently ranking Cornwall at the bottom of their ranks for business which extends to the arts, as the arts are a business. This week another board member was threatened. It was not the first time. We’ve seen members including yours truly have their “day jobs” threatened which has led to at least three good people resigning during this past year. Likewise, certain actual art groups have conspired, only once the gallery’s legal issues were expertly resolved, to take over the board and control of the gallery. The fact that these groups do not have a terribly successful track record and little to no history of actually supporting the gallery doesn’t seem to factor in. Charitable status is not easy to attain in 2016. Likewise, when seeking funding, a thirty four year old charity is a valuable resource. Two former board members who now sit on council, Elaine MacDonald and Carilyne Hebert left after committing illegal acts and under threat for exposure and lawsuit. While there they played roles in the creation of what is known as YAC. It was typical Cornwall politics. Create an entity to replace one that you can’t control. Instead of protecting our institutions, tear them down which is why Cornwall is so behind compared to nearby Brockville. 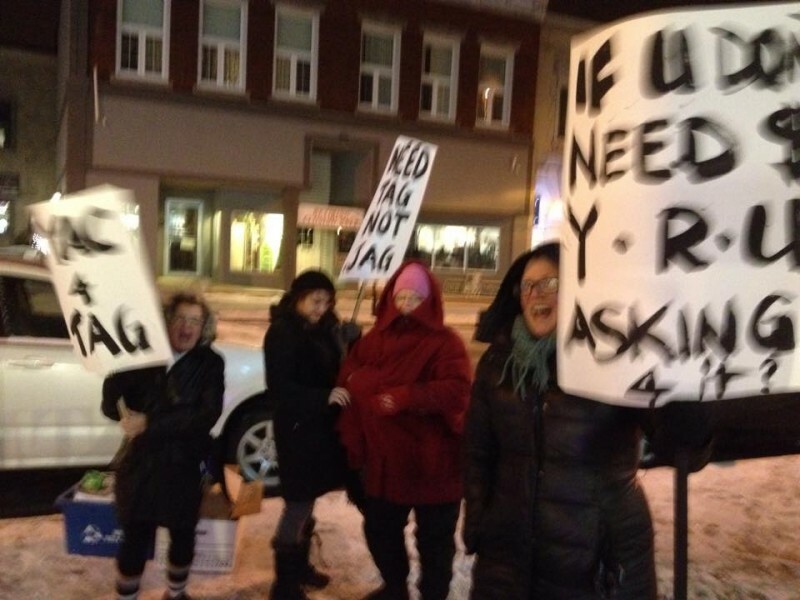 In a single year TAG saw a huge change over in board members, the termination of its long time Executive Director, a $500,000.00 lawsuit from the same director that was resolved without ever reaching court or the gallery itself having to write a cheque. 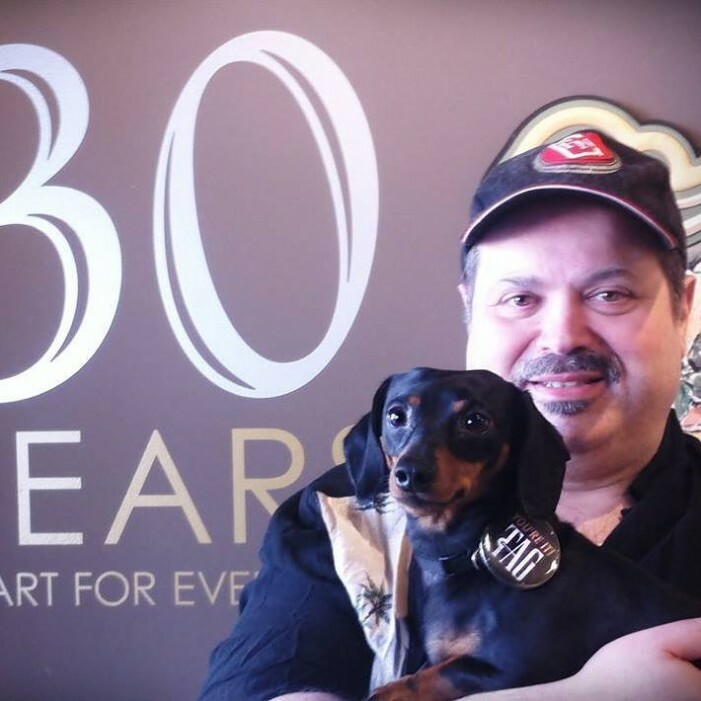 In that same period of time it created an up to date charter, new membership structure, Artist Guild structure to assist artists who are focused on earning money benefit, as well as put on four major exhibitions including Aislin and legendary photographer Barrie Wentzell. It did this with its funding cut to zero. The city refused to even profer the Lift Off dollars after its signature tourism event folded for many of the same reasons, corruption and poor execution. Communications to Council also proved ineffective. This week so a few new lows. TAG was not notified of its date to present for funding. If not for someone at City Hall letting us know on the side we would have missed our presentation, not that it apparently mattered as the fix seemed to be in. We contacted Debbie Caskanette at City Hall and asked if she had sent our notification to our info@tagcornwall.com email which she confirmed. When we stated that we did not get it and asked to have our slot changed we were refused. A subsequent email to CFO Maureen Adams showed the notification was not sent to TAG and that the city had a bounce back email yet made no further attempts to contact TAG. We had scheduled a meeting to gauge the public support to save the gallery which was originally scheduled for this past Monday. After complaints by Councilor Dupelle we switched it to the next day. After all if there was interest by some on council to attend that was hopeful. Our presentation, that we were not notified of, was dated the same day as the new date so President Walsh and myself rushed to a 5 PM presentation before zipping back to the gallery to prepare for our meeting. Our meeting was met with a small group of about eight people picketing (there were nearly forty others inside), which included a woman that was trespassed after swearing and being abusive in the gallery in front of a small child and two artists over our former board member Kimberley Cameron. Heather Smith was also on the board with Elaine MacDonald and Carilyne Hebert. Mary Anne Pankhurst, an artist of reknown herself, at a meeting to promote a column she was to start called “The Art of Everything” was actually verbally assaulted in the same manner by Ms Smith. Heather had also wrangled with former Board member Eric Covington over a glass show they were to have together at the gallery. That show disintegrated and resulted in Mr. Covington leaving TAG as a board member over not only his conflict of interest, but his leaking an internal investigation. He had also left the board of YAC prior to joining TAG, and actually actively petitioned our funding agencies for 2015 and 2016 to not grant TAG any funds. He also spread straight out falsehoods about the gallery still having litigation (it doesn’t) and about having out of quorum meetings (which we did not). Mr. Covington also wanted to merge his glass works with TAG so it would have charitable status. This week he sent an email to CFN minority owner Reg Coffey. Mr. Coffey has no role at the gallery, and simply is co-owner of CFN. “There is an artists boycott of anyone who empowers a certain on-line personality and your business is on the list. Too bad since you have good coffee at a good price. Again, you have a disgruntled former board member clearly bearing his grudge at ultimately the expense of the gallery. Ms Smith did not support or show at the gallery after that show in spite of the board offering to set up an alternative glass show. She complained about being trespassed to President Wyatt Walsh who once he confirmed her actions, simply suggested she submit an apology and request to return which she refused. Clearly anyone picketing to defend her actions has some very peculiar morals and standards. Rose Desnoyers, Sandra Taylor Hedges, and other members of Focus Art were part of the protest group. The group clearly had a mandate as Focus Art, which campaigned for YAC, had conspired with some of the protesters to “buy” memberships to takeover the board of TAG. It’s President Linda Geisel conspired with Kimberley Cameron to set up a “secret” board meeting to discuss it. Focus Art, instead of asking Ms Geisel to step down, grouped up to picket the gallery. Ms Geisel was present at the picketing. In this excerpt from a facebook chat between Councilor Hebert and Kimberley Cameron they discuss some of the minutiae of what Councilor Hebert thinks YAC and Focus Art are for, and then calls yours truly and the board “dirt bag.” Again, this is an acting city councilor. Ms Hebert is also on the Outside Agency Committee that decides on funding. 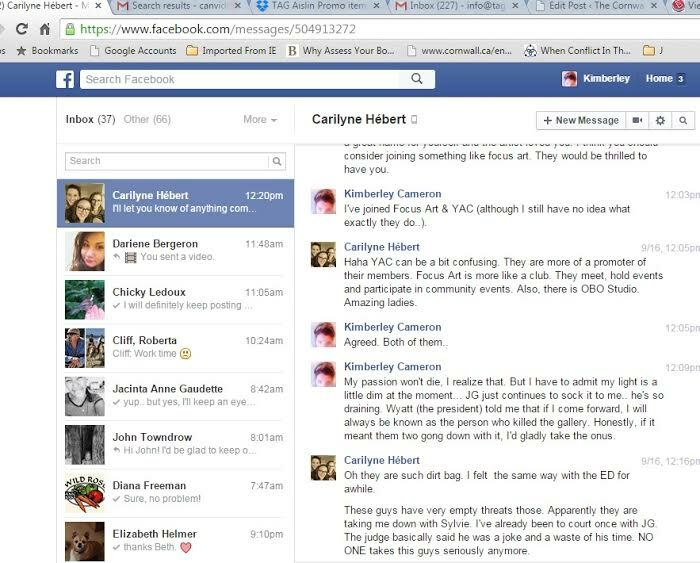 Hebert states that she feels the former ED was a dirt bag too. She mentions the application for her clear conflict of interest in which she, Elaine MacDonald, and the Mayor ended up using the City’s lead legal rep, and somehow found a judge who did not declare that he had been partner in a law firm that currently was representing (at the time still a city councilor himself) Brock Frost and who had represented several other clients who had lost to CFN in court. Clearly Judge LeRoy should not have been presiding over that case. Ironically he’s been named to Judge the City vs Whistleblower Diane Shay. Freeholder editor Hugo Rodrigues sat in the courtroom that day and neglected to mention the good Judge not declaring his former partnership. While Ms Hebert talks about an art centre there is clearly zero funding for it. The first plans were done in the 90’s. Nothing was done since. This year the City of Cornwall has hired an architectural firm to do a feasibility study for an art centre. Ironically the city has no building which makes hiring an architectural firm boggling? Likewise they have left TAG out of the process even though TAG has the only real art archives in the city going back to 1977! A reasonable person would ask why? Likewise, funding for charities is far easier to get than start ups, especially 34 year old charities. Why block out the gallery? Why not roll the gallery into an arts centre if there was a serious plan? The city’s spent all of the revenue from the Progress fund on its share of the Benson Centre. In fact the city’s share exceeds the revenue and most likely will for about a decade. There clearly are no funds for an art centre. A reasonable person might posit how a community could support an arts centre if they can’t support a public art gallery? Historically TAG and the arts have been under supported in Cornwall. There was so little care from the arts community itself that TAG was allowed to float for twenty years without any growth while the city killed its Arts Coordinator position after the disastrous Cornwall Comets hockey fiasco. The City has an Arts & Culture committee that did not champion the gallery nor even visit it other than one member setting up a meeting between YAC and TAG where YAC’s president Betty Healey took aside the President and attacked yours truly. 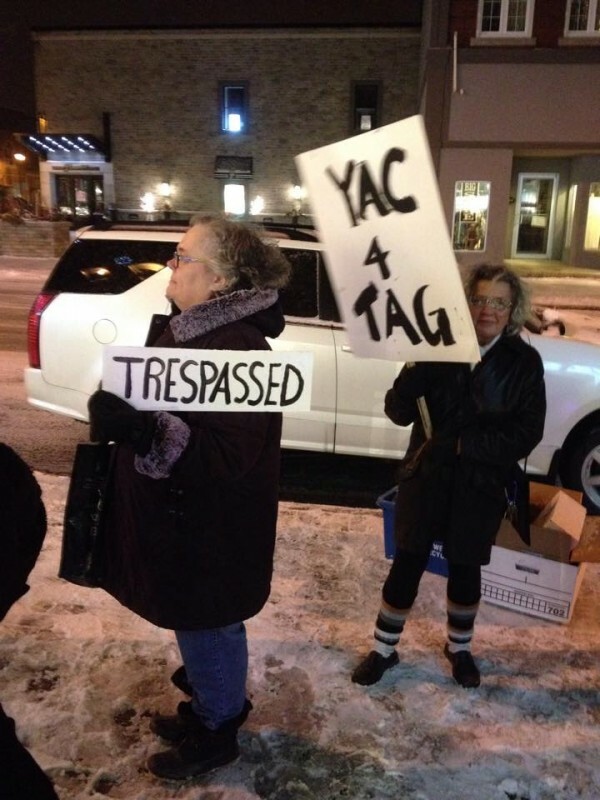 YAC still owes TAG about $1,700 for not completing work that it denied until Trillium was involved. YAC as an entity had less than 40 members until it made its membership free, which basically disqualifies it for a lot of funding. They have yet to actually support the gallery or call for the city to support the public gallery which again is an odd position for an entity that is supposed to be an Arts Council? Likewise it asked for funding in 2015 to pay for its Executive Director Bruce Davis and instead terminated his position. Mr. Davis voiced complaints about how he was handled by the Board. “We saw the need,” said Coun. David Murphy on his support for the initiative. Murphy said the funding for YAC will also benefit more types of artists than those who focus on visual arts. “YAC is the model for the future,” said Murphy. He explained that YAC was created partly to bring more artists together. “If we have one unified voice, we could end up with the best possible outcome toward building an arts centre,” he said, comparing this issue to the process the sports groups undertook in the mid-2000s that led to the building of the Benson Centre. One would wonder what City Mr. Murphy is living in? Could all that energy spent from chasing his former female students at St. Lawrence College have impacted his faculties? Could spending so much time saying yes to Gerry and Marty Benson have diminished his ability to assess information and come up with accurate conclusions? There was no group like the Benson Centre committee working for an arts centre like YAC. It’s farcical and frankly embarrassing to those that don’t swallow the hooey from the likes of Carilyne Hebert and David Murphy. In 2015 TAG hosted the Catholic School Boards student exhibit with over six hundred children attending. It provided a free setting for artists to display work and the public to view work. The City is spending $97,000 in 2016 to fund Aultsville Hall which provides an expensive location that is under served. It also rents some space to YAC which is not ideal for arts or for public accessibility. TAG is downtown which is ideally where you want an arts centre of any sort. So the question is why the conspiracy to shut down TAG? Is it only because of personal issues with elected officials? The media played a role in this too. The Seaway News, and Cornwall Newswatch seem to only cover attacks on the gallery as they pander to City Hall for ad dollars. The Freeholder has written some bizarre things too. The article quoted above with the quotes from Mr. Murphy did not contact TAG other than attempt to reach President Wyatt Walsh when the writer clearly knew who the Director of Communications is. Likewise the Freeholder chose to not run an interview it conducted prior to the meeting to save the gallery. Why would that be? How can the public come to the defense of its gallery if they are not informed, and why wouldn’t these media outlets share the upcoming meeting? No, it’s bad 80’s TV drama and petty small town politics at their worst. Should that mean the end of the historical charity? Should it see people’s livelihoods threatened as has happened to board members? Ultimately TAG will die not because of the corruption at City Hall, but because of the conspiracy of silence of those that clearly know what is going on. While Councilor Murphy and his Outside Agency committee may have focused on eight protesters, who clearly had an agenda, he didn’t mention the nearly 40 people inside the gallery that night who nearly unanimously wanted to save the gallery, albeit with many different thoughts on the process. Ultimately because the local arts community is so fractured and political its failed to pull together which is a community tragedy. Do people like Tracy Croxall Davies, Kimberley Cameron, or Jacqueline Milner really warrant public dollars or the time and resources of those that would volunteer to be on a board? Especially when most of those protesting don’t even live in Cornwall? Could that be why our best and brightest rarely give their time to serve the community in this manner? To only see their work or good names mired in lies and ugly politics, or see their livelihoods threatened? Council has the final word on Mr. Murphy’s recommendation to cut funding to its public art gallery, but it may be too late to save after the petty politics of this past week. Even if people did work together the arts scene is so weak that it would take a good decade of strong work to get to the point to even consider the type of investment that a true arts centre would cost. Would you want to deal with this sort of nonsense if you were considering trying to save an organization? Essentially you have a fractured and weak group being led by corrupt politicians to wage personal grievances with public dollars. Is that a community one could be proud to live in? And that dear CFN viewers is why at our next board meeting I will be recommending that we close TAG Cornwall. I think this goes to show just how fractured this community is. When organizations after the same (seemingly) similar goals cannot agree on how to get things done and / or attack one another it says a lot about a community. I’ve never been one to support “art” per say. But when an organization might decide to close after 34 years it shows there are deeper problems. And Hugger those problems were around long before my tenure on the board. 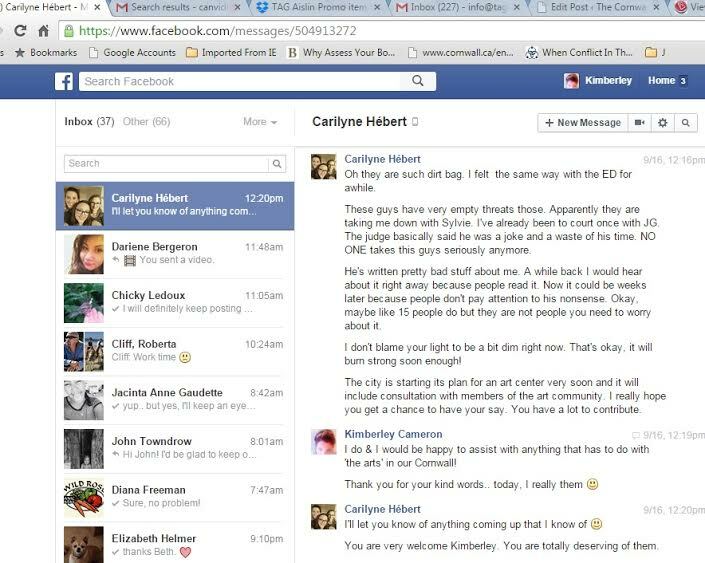 We actually had some of the older artists share that others complained going back to Audrey Bain, then the same sort complained about Sylvie, and now they are complaining about myself and our board. It’s very sad. Personally, as I stated in your previous piece on this same topic, let it end now. Maybe council will spend 70 odd thousand dollars on a study to determine whether the arts need to be represented at all in this community. Let the dysfunctional council and leadership attempt the impossible, figuring what to do next. No plan, no direction and definitely no leadership. It is more than sad. Admin…..I guess some will never be satisfied. Simon….I agree. But for this to be accomplished they have to work together, not all pull in different directions. With budgets being increasingly tight for cities they have to work together for the common goal. David council chose to put a councilor who clearly is against the arts in David Murphy on the Arts & Culture committee. They put relatives of councilors on the committee. Again, looking at the arts community here in Cornwall it’s not strong enough to even support a public art gallery, never mind an arts centre. The entire process has been rife with corruption and bad small town politics. It’s embarrassing. The Song Remains The Same, but not by Led Zepplin. Hugger you can keep your Satanic Led Zepplin and all other Stanic style of music and I know fully well about the music industry and the movie industry – all Satanic. Yes the music that I play will go on and on and on until I die. That is not what I was referring to Jules. Agreed. But would you rather they get it or we get it? Personally, Ottawa can keep all their snow and other crap. The only person who you cannot argue with as head of TAG would be Jamie’s little dog that is in that picture. What a sweet and loving creature to have as a good and loyal friend and outdoes many humans in intelligence by far. Cornwall has not changed for the better nor will it because it is going to get a great deal worse than what you see now. Nobody wants Cornwall and it is finished. Hugger you can remain in that highly polluted dump along with so many brain dead people and all the corruption that goes with it. That is a life that I cannot live with at all and would prefer to be dead than to live such a life. I feel very sorry for the good people who are thrown to the curb in that horrible town. I especially feel sorry for the animals – what a place to live. I remember seeing that Kimberley Cameron so smug and happy to be showing off her art at the art gallery and now she turns her back on Jamie and Wyatt. What a bunch to belong to. No wonder I love animals over people. I could never have friends with such a bunch of back stabbing bunch. Thank God and many thanks to the Good Lord that I left such a place. As I’ve said before some people like Cornwall, some don’t. Jules obviously doesn’t (though I have a feeling she’s a closet Cornwall liker); I do. Big cities have just as many downfalls as small cities. You would never see me living in a city like Ottawa, Montreal or Toronto. They are too big, too congested and full of pollution. Hugger I would tend to agree with you which is the utter tragedy in Cornwall. If we could simply get more people to stand up to the clique and hold them accountable for their behavior we’d have lower taxes, a more inviting community which would be more inclusive. IE, there is a world of possibilities if we bounce these clowns hard. Jamie and Hugger I said it many times before that you have to get rid of the clique entirely out of Cornwall before things get any worse. That Carolyne Hébert is very big trouble and I said it many times before and I mean it. There are plenty like her around in Cornwall who are benefiting from being in council and it is not for the good of the people but for their own good and they have to go. Hugger I am not a closet Cornwallite at all and there is a tremendous pollution in Cornwall. Back in the mid 80’s I visited Toronto with my family and that is a place that you would not find me at all and I hated it the first time that I went there. Ottawa suits me well and I like it but my husband doesn’t like it for his own reasons. I wouldn’t purchase a house her that is true. My daughter is leaving the job that she had since she went back to college and almost finished and will be seeking a much better job when she is finished soon. The jeolousy is beyong reason at where she works just now and many tongues are wagging at the letter that she handed in just a while ago. She will soon be going on co-op and we have shopping to do tomorrow for clothes. I do have to say something funny about Ottawa and that is one day my daughter and I were downtown and the noise was unbearable and one girl asked another “when does the noise stop” and the other answered “never” and that is so true. It is very noisy and congested and the cars make pollution including the politicians. We dread that soon we will be opening up windows – noise. Ah co-op….where businesses get work done without paying for it. My daughter and one other person was chosen to work for this doctor for a month and she isn’t paid for it but it is training for that period of time. The doctor wanted the two highest ones in the course and my daughter was one of them. My daughter’s overall average so far is 96%. She takes after her dad in intelligence and that is true. Before a YAC showcase for hobbyists and tacky crafts takes over, it would be nice to see TAG utilised in its public education and enlightening role. Please!… Akwesasne, Muslim, and other marginalised communities, stepup and use TAG, to share with and educate Cornwall with works of real soul and inspiration, before the inevitable dumbing down by flea market crafters and vanilla artists? IMHO my niece is too short to be a police officer. She is about 5’4″ tall. Now if she comes across a 6’8″ criminal does she really think he’s going to pay attention to a 5’4″ female police officer? Nope, aint’ going to happen. So, I fully expect her to have a fourth round at college, probably back to vet technician.